CHICAGO: Morton Salt is planning to hire a social media manager to develop the brand’s social strategy and manage its presence on social media platforms. The full-time position will be based in the company’s Chicago office, according to a job ad posted on Morton Salt’s website. Paul Jackiewicz, Morton Salt’s senior communications manager, told PRWeek that the social media manager role is housed in the marketing and comms department and reports to Harrison Dobe, senior manager of digital and social media at Morton Salt. The role was previously a specialist position, but Morton Salt has upgraded it to a manager role in order to "help us build on our strong foundation and take our social media presence to the next level," said Jackiewicz. Despite the new title, the social media manager has no direct reports, he explained. The social media manager’s duties include defining the role of each social media property for Morton Salt and the company’s Canadian salt brand, Windsor, as well as developing and deploying a specific content strategy for each platform, according to the job post. 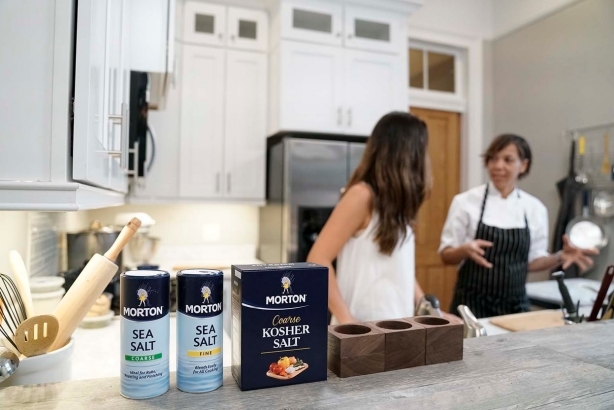 The role will use social media insights analytics in support of Morton Salt’s strategy, refine the processes for creating social content, and work to promote the company’s brand and business objectives. The manager will also work with the consumer affairs departments to track and report customer questions submitted on the social platforms. Candidates will need between four-to-six years of experience with social media community management, social content creation, digital marketing, digital project management, and digital technology on the client or agency side in CPG or major consumer brand experience, according to the job post. Last July, Morton Salt brought on M Booth as its PR AOR in the U.S., Canada, and the Bahamas. Ketchum was the incumbent on the account. Since 2012, Ketchum had been Morton Salt’s lead PR agency. In 2016, the firm helped the 168-year-old brand with its first masterbrand campaign, establishing Walk Her Walk as a creative expression that would represent the brand and act as a call to action for people to step up and become a force for good. As part of the campaign, Morton Salt teamed up with the band OK Go to create a viral video.